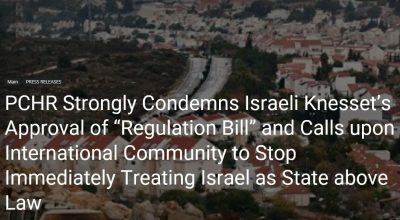 PCHR Strongly Condemns Israeli Knesset’s Approval of “Regulation Bill” and Calls upon International Community to Stop Immediately Treating Israel as State Above Law. 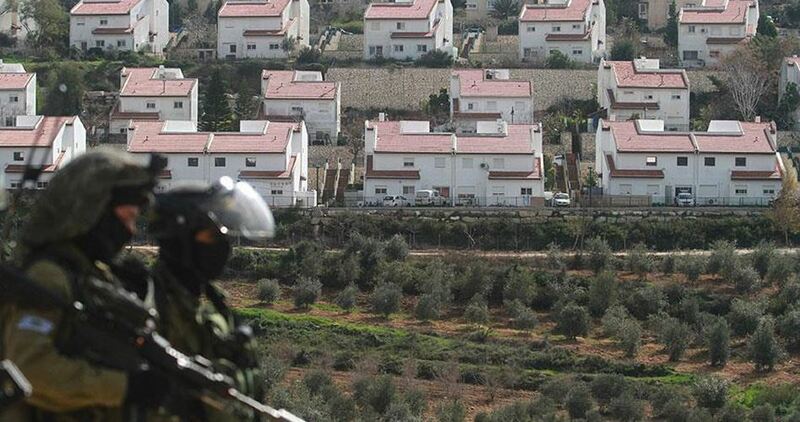 The Palestinian Center for Human Rights (PCHR) strongly condemns the Israeli Knesset’s approval of the “Settlement Regulation Bill”, which allows the theft of Palestinian privately owned lands for the interest of settlement expansion in the West Bank, including East Jerusalem. PCHR calls upon the international community, particularly the Permanent Members of the UN Security Council (UNSC) and High Contracting Parties to the 1949 Fourth Geneva Convention relevant to the Protection of Civilian Persons in Time of War, to fulfill their legal and moral obligations stipulated in the UN Charter and the mentioned Convention, and to take all deterrent measures against the Israeli Government on grounds of its blatant violations in the occupied Palestinian territory (oPt) in addition to stop treating Israel as a State above the law. After only few weeks of the UNSC’s Resolution No. 2234 On 23 December 2016,with the adoption of 14 Members and the United States abstaining, that the Israeli settlements have no legal validity, the Israeli Knesset approved in the second and third readings the “Regulation Bill”. The Resolution reaffirmed that the Israeli settlements established on the Palestinian lands occupied since 1967, including East Jerusalem, has no legal validity according to the intentional law. The Resolution also reiterates its call upon Israel, as the occupying power, to stop immediately and completely all settlement activities in the oPt, including East Jerusalem, and to fully respect all its relevant legal obligations. Putting forward the above-mentioned Bill, which was adopted by 60 Members and opposed by 52 in the Knesset, came after the Israeli Supreme Court’s decision to evacuate “‘Amouna” settlement established on Palestinian privately owned lands in Silwad, northeast of Ramallah. This Bill aims at transferring 12 settlement outposts, where around 4,000 settlement units are established, into new settlements and paving the way for the annexation of Areas C, which is around 62% of the total West Bank area. This Bill also aims at legalizing theft of Palestinian private lands for the interest of settlement projects. Approval of the “Regulation Bill” came also after months of the election of Israel’s UN Ambassador, Danny Danon, as Chair of the UN General Assembly’s Legal Affairs Committee, in June 2016, with the support of 109 State Members out of 193 States. PCHR believed at time that Chairing Israel on this Committee would encourage Israel to continue to commit blatant violations of the intentional law rules and even the conventions by the Committee itself. 2. Calls upon the UN, particularly the UNSC and General Assembly, to take practical measures to face Israel’s blatant violation of the international law rules and to put an end to treating Israel as a State above the law. 4. Hopes that the International Criminal Court (ICC) would positively move towards opening a criminal investigation into the situation in Palestine in general and the settlement file in particular as soon as possible. Palestinian and Israeli activists and human rights watchdogs lashed out at the Israeli government for passing a bill legalizing settlement outposts built on Palestinian land across the occupied West Bank. Palestinian Authority (PA) spokesman, Nabil Abu Rudaina, said the Knesset’s approval of the Regulation Bill in its second and third readings is “unacceptable” and one that stands in sharp contrast to the UN Security Council Resolution No. 2334 passed in December 2016. The PA spokesperson urged the international community to take immediate action against the bill before it is too late. Islamic Jihad leader Mohamed al-Hindi slammed the PA, chaired by Mahmoud Abbas, for failing to protect its citizens and lands. “The PA has to step down and leave the floor for the Palestinian people so as to rise up against the Israeli occupation and protect their land and property,” said al-Hindi. He wondered about the reason why Abbas has not plucked up his courage yet and filed a lawsuit against Israel at the International Criminal Court (ICC). The leftist Peace Now NGO also leveled heavy criticism at the bill, dubbing it “a scar of shame” on Israel’s face. B’Tselem human rights watchdog also spoke out against the bill, saying it rather seeks a legal cover for Israeli land grab. The Israeli Knesset on Monday passed a law legalizing the expropriation of privately owned Palestinian land. Critics warned that the move would mark the first step toward the annexation of parts of the West Bank, while paving the way for possible future prosecution of Israel for war crimes. In a late-evening vote, MPs ignored warnings from opposition lawmakers and the UN and passed second and third readings of the Regularization Bill, which will legalize illegal settler outposts scattered around the occupied West Bank. 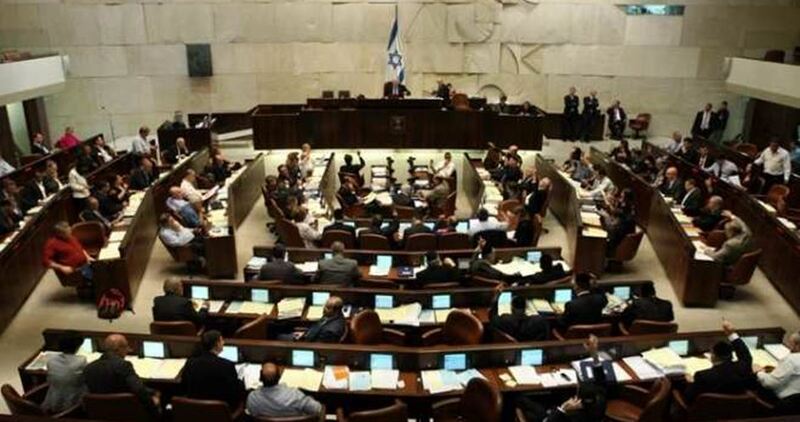 The so-called Regulation Bill went before lawmakers at the Knesset and received 60 votes in favor opposed to just 52 against in its third reading. International law views all settlements in the West Bank and East Jerusalem as illegal for they are built on private land on which Palestinians have claims. In the run-up to the law’s passage, Palestinian and Israeli critics described it as a land grab and said it would be viewed as a step toward the annexation of parts of the West Bank. Earlier on Monday, Nicky Mladenov, the UN’s special coordinator for the Middle East Peace Process, warned that the law would “have far-reaching legal consequences for Israel and greatly diminish the prospects for Arab-Israeli peace”. The vote comes at a pivotal time for the Israeli-Palestinian conflict, the calculus for which has changed since the swearing in last month of Donald Trump, who has promised to be the most pro-Israel US president ever and named supporters of the settlements as his Israel advisers. In the debate leading up to the vote, Isaac Herzog, the center-left opposition leader, warned that the law could open the way for prosecutions of Israel for war crimes at the International Criminal Court. Herzog also said the legislation amounted to “de facto annexation”. Avichai Mandelblit, Israel’s attorney-general, warned Netanyahu before the vote that he deemed the bill to be unconstitutional and was not prepared to defend it if it was challenged before Israel’s Supreme Court. "If adopted into law, it will have far reaching legal consequences for Israel and greatly diminish the prospects for Arab-Israeli peace," he warned. The bill has been deemed unconstitutional by the Attorney General of Israel and is in contravention of international law, according to his statements. All core issues should be resolved between the parties through direct negotiations on the basis of relevant UN Security Council resolutions and mutual agreements, he stressed. 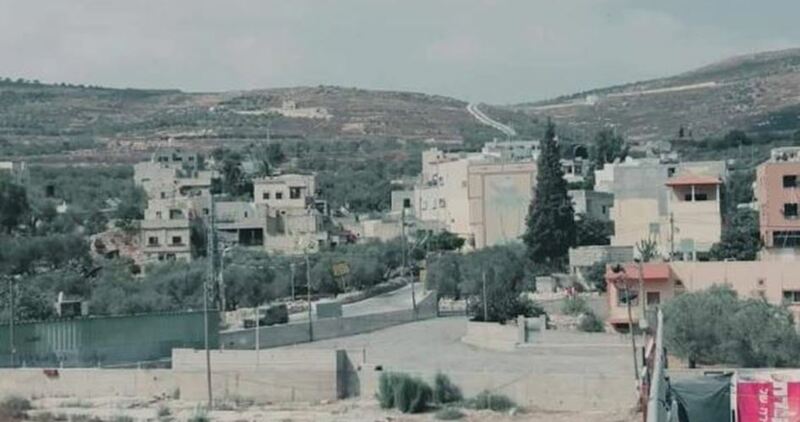 Head of Madama village council Tala’at Ziada raised alarm bells over the Israeli escalated settlement construction in the village, south of Nablus. Ziada pointed out that settlers from Yitzhar illegal settlement continue to storm the village on almost daily basis and steal the local water wells. He called on international rights groups and the concerned authorities to stand firmly against such illegal practices. He told the PIC reporter that the settlers have sized large agricultural lands located in the Palestinian villages, south of Nablus, and have recently started planting grapes. 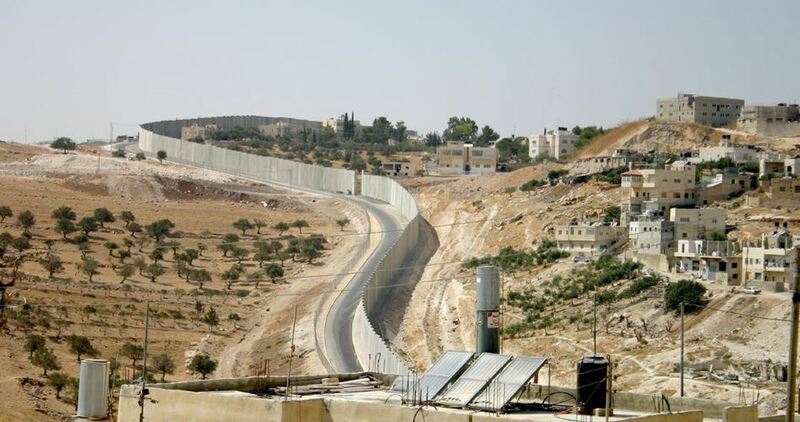 The Israeli occupation authorities (IOA) have drawn plans for completing the path of the apartheid wall in the southern areas of al-Khalil province, south of the occupied West Bank. According to Walla website, the IOA decided to implement a plan by the Israeli ministry of war to build a 42-km long separation wall stretching from Tarqumiyah crossing to the west of al-Khalil to Mitar crossing, south of the city, and adjacent to the settler road No. 35. The wall is scheduled to be completed by the end of 2017. In the recent months, the IOA accomplished building 10 km of the wall in the southern area of al-Khalil. The IOA started on 16th June 2002 building a concrete separation wall that is 4.5 to 9 meters high across the lands of the occupied West Bank, adding further suffering to the Palestinian citizens there. The International Court of Justice issued an advisory opinion on 9th July 2004 stipulating that building the wall contradicts the international law, and demanded dismantling it and compensating those affected. However, the IOA continued building the wall which reached 402 km long in 2006. The curvy wall surrounds most of the West Bank lands, and it is expected to reach 703 km long according to a plan by the Israeli government. Haaretz Hebrew newspaper revealed that Israeli authorities seek to implement nine settlement projects in occupied Jerusalem. Ten thousands of new housing units are scheduled to be built at the expense of Palestinian private lands, the paper added. According to the paper, the new approved settlement projects will prevent linkage between Ramallah and occupied Jerusalem. 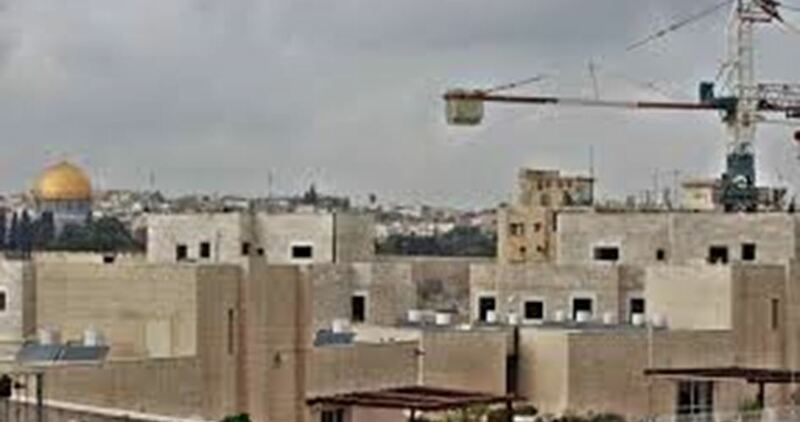 500 housing units will be added to Ramat Shlomo settlement in Beit Hanina town, east of occupied Jerusalem, 1,500 others will be built in Har Homa illegal settlement southeast of the occupied city. 3,700 housing units and 2,100 hotel rooms are scheduled to be built in Area E. The project would divide the West Bank into two separate north and south areas. 230 settlement units are to be added to Kadamat Suhyoon settlement, west of Abu Dis in occupied Jerusalem, while 3,700 housing units will be built in Beit Safafa. 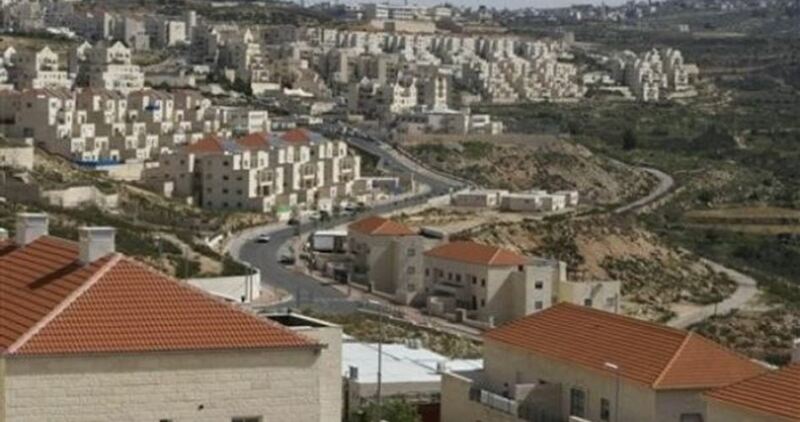 2,001 new housing units will be also approved in Gilo settlement southeast of occupied Jerusalem. Few weeks after the swearing-in of Donald Trump, Israeli authorities have stepped up policies of land confiscation and settlement expansion. "The President, Donald Trump is committed to peace. That's his goal. And I think when the President and (Israeli) Prime Minister (Benjamin) Netanyahu meet here on the 15th, that will obviously be the topic on that. At the end of the day, the goal is peace. And I think that's what you have to keep in mind. I think that is going to be a subject that they discuss when they meet on the 15th, and that's as far as I want to go on that," according to his statements.